Blockade of temporarily occupied territories poses a threat to the energy security of Ukraine, normal life in the region, and reinforces alienation of the territories. 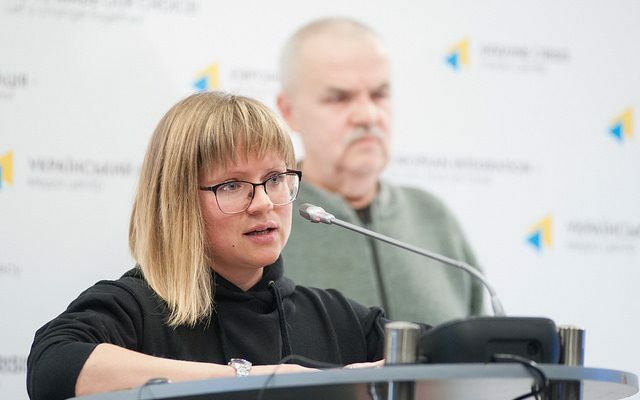 This was stated by representatives of the Ministry of temporarily occupied territories and internally displaced persons of Ukraine, ATO veterans and volunteer organization “Vostok SOS” at a press briefing held at Ukraine Crisis Media Center. “Everyone who calls to block our factories, our enterprises and our people, in my opinion, is plotting treason. 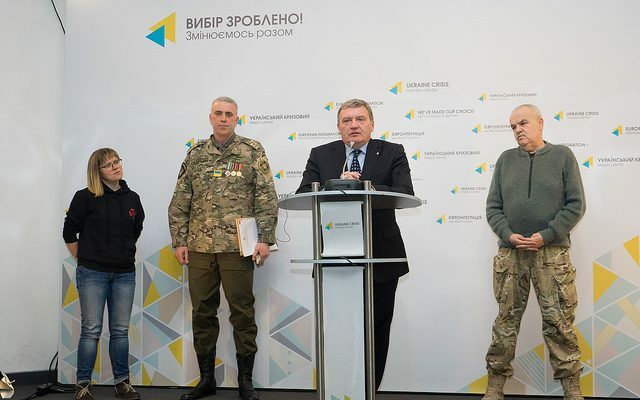 Because what they propose is not in the interests of Ukraine, but in the interests of a neighboring state,” stated Yuriy Grymchak, Advisor to the Minister of temporarily occupied territories and IDPs of Ukraine. Yuriy Grymchak reminded that seven Ukrainian CHPs work only on anthracite coal, which is mined exclusively in the uncontrolled areas. Today, Ukraine consumes about 9 million tons of anthracite coal. “All who stand for the blockade are acting as agents of the Russian Gazprom, which has said that it is ready to supply gas to Ukraine at reduced rates due to the fact that there is not enough coal and gas to pass the peaking service because of the frost,” said Yuri Grymchak. 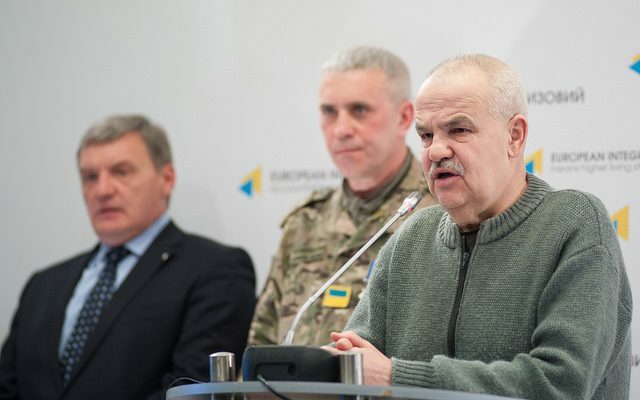 Grymchak added that according to the statement of SBU chief Vasyl Hrytsak, the blockade has caused Ukraine a loss of about 37 million hryvnias. “It’s our coal, our land and our people. All the talks about trade relations with the invaders and terrorists are not true. All enterprises that supply coal and other goods are registered in Ukraine, pay taxes in Ukraine, people’s wages are calculated here. Ukraine does not have any financial relationship with that occupation administration,” added Yuriy Grymchak. 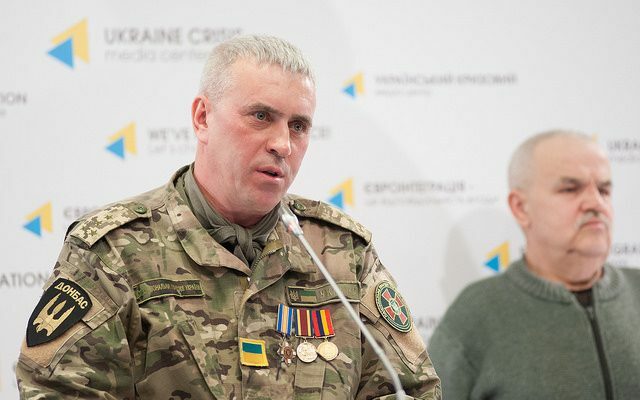 Volodymyr Shylov, former company commander “Donetsk” battalion “Dnipro- 1,” Lieutenant Colonel, remarked that the question remains how much “tax” these companies pay to the self-proclaimed government of the so-called “republics” and how Ukraine pays for the received coal. 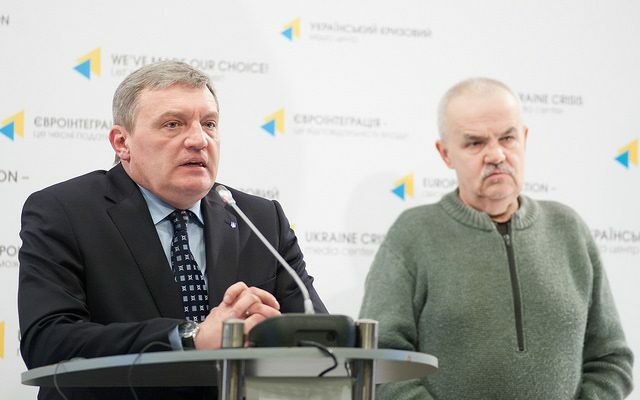 Yuriy Grymchak and Volodymyr Shylov stressed that the complete blockade of temporarily occupied territories will result in the collapse of a number of cities on the unoccupied territory including Mariupol with million inhabitants, which receives water, 80% of electricity and partly gas from the temporarily occupied territories. 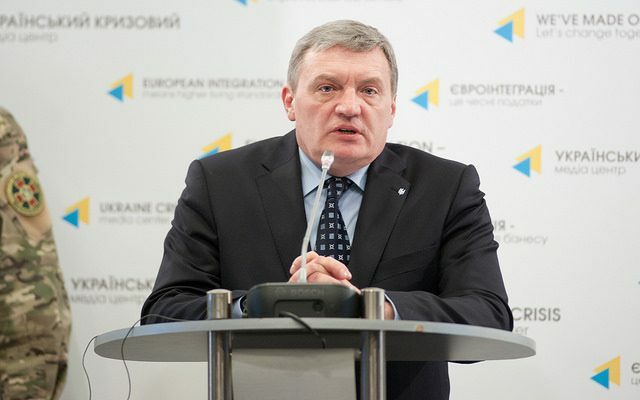 Yuriy Grymchak emphasized that the destruction of railways in Ukraine has all the signs of sabotage, which is a criminal offense and should be investigated. Volodymyr Shylov also noted that four deputies of Ukraine who participate in the blockade should act through Parliament instead. Earlier UCMC has already published material about the possible reintegration of the occupied territories of Donetsk and Luhansk in Ukraine or their complete blockage, where the pros and cons of such processes have been highlighted.